Bayer 04 Leverkusen host Manchester United on matchday five of the UEFA Champions League on Wednesday, November 27th, 2013. The game will take place at the BayArena Stadium in Leverkusen, Germany, with the kick-off at 20:45. 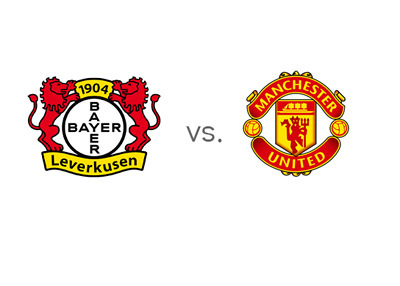 Bayer 04 Leverkusen vs. Manchester United is probably Wednesday's closest match on paper. Leverkusen are second in the German Bundesliga at the moment and second in Group A of the Champions League. Manchester United are currently in sixth place in the English Premier League and in first place in Group A.
Leverkusen got off to a record start in the German Bundesliga this season with ten wins out of thirteen games. They earned themselves second place in Group A of the UCL by beating Shakhtar 4-0 and then drawing with them 0-0 in Donetsk. On their visit to Old Trafford, on matchday one, they were defeated 4-2. Manchester United are undefeated in their last ten matches across all competitions. Wayne Rooney and his team are slowly finding form this season. In their last EPL match they were held to a 2-2 drew vs. Cardiff. Robin van Persie, who sat out the weekend's game, is looking to make a return to the lineup vs. Leverkusen. Bayer 04 winger, Sidney Sam, who has scored 11 goals this season so far for club and country, will miss the Wednesday's match due to injury. Manchester United midfielder, Marouane Fellaini is suspended due to a red card he received in the match vs. Real Sociedad. The hosts are the favourites to win. A 100 € bet on Bayer could return 145 € in profit, while the same bet on the Red Devils could return 210 € in profit. The most likely scoreline, according to the odds, is a 1-1 draw, offered at 5/1. Stefan Kiessling, who has scored eight goals so far in the Bundesliga and two goals in the Champions League, is the favourite to score on Wednesday at 7/5. Javier Hernandez and Robin van Persie are the favourites to score for Man U at 2/1 each. This should be a good game. Probably the one to watch on Wednesday.